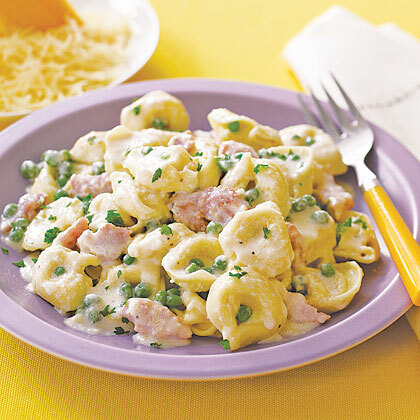 This tortellini casserole couldn’t be easier, with the usage of frozen tortellini, straight from the freezer – no need to mess with boiling or cooking beforehand. The tangy sweetness of tomatoes blends perfectly with the creaminess of melty cheese.... Add boiling water, tomato and soup mix with stock sachet. Bring to a simmer. Reduce heat to medium. Cover. Cook, stirring occasionally, for 15 minutes, adding tortellini and peas for the last 3 minutes of cooking time or until soup mix and tortellini are tender. Add boiling water, tomato and soup mix with stock sachet. Bring to a simmer. Reduce heat to medium. Cover. Cook, stirring occasionally, for 15 minutes, adding tortellini and peas for the last 3 minutes of cooking time or until soup mix and tortellini are tender.... 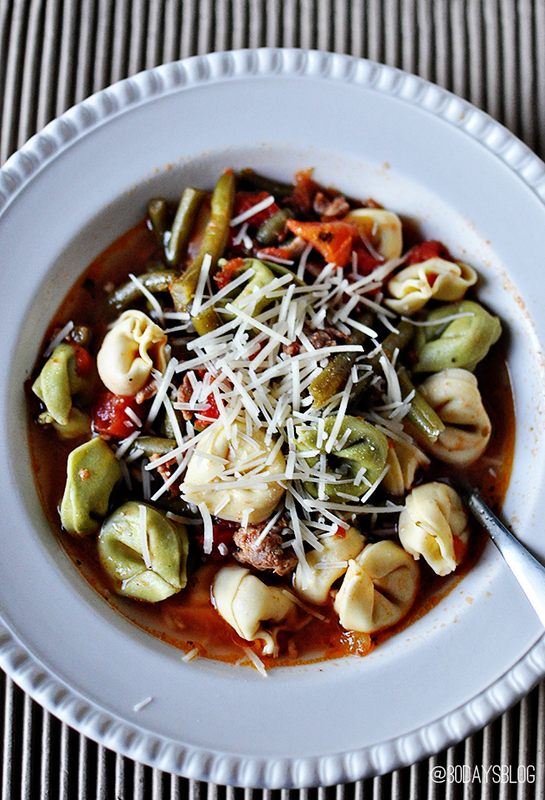 In a three-quart glass baking dish, layer the frozen tortellini and the spaghetti sauce. Put the water into the empty sauce jar, close the lid tightly, and shake well. Pour this mixture over the tortellini. That's how you get all of the spaghetti sauce out of the jar, and the water helps the tortellini cook and stay tender. What adjustments to the cook time are needed if BUITONI ® pasta is frozen? Frozen pasta can be cooked without thawing. It should be prepared according to the package instructions. Cook your tortellini according to package directions and drain well. While the tortellini is still in the colander rinse it under cold water, just make sure to rinse under a gentle stream of water so that your tortellini doesn’t fall apart. Preparation. In a large saucepot over high heat, bring 4 quarts unsalted water to a boil. Add frozen pasta; stir gently. Reduce heat to medium and cook, uncovered, 5 minutes or until tender, drain.